Welcome to our new 2 part blog series! The next 2 blog posts are going to look at cybercrime, what it is and how your supply chain is at risk of a cyberattck, as well as how cybersecurity helps with any cyberthreats. 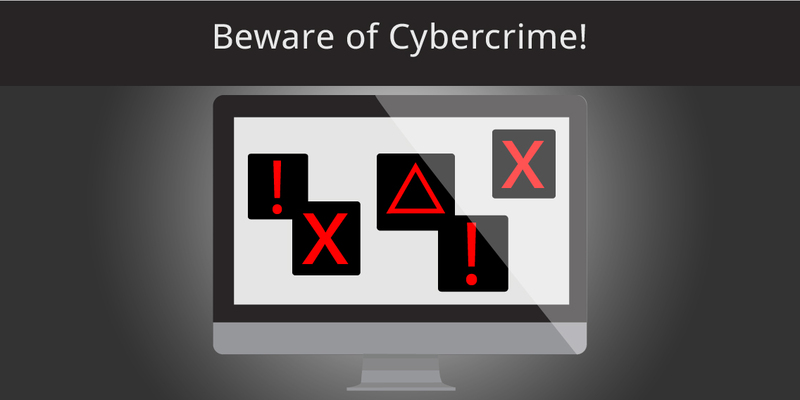 Cybercrime is an ongoing threat. When considering it, most people think of someone stealing their financial information, however, there is more to it. There are a whole slew of concerns as technology and cybercrime continue to evolve. It is impossible to completely prevent a cybercrime, but you should take all the necessary precautions to help protect yourself and your business. Supply chains are constantly at risk, and even the most advanced companies aren’t properly equipped to defend against the wide range of hazards. Cyberthreats can come from anywhere at any time. Cybercrime is any crime that is committed against individuals, or groups, with a criminal motive to intentionally harm victims. These criminals use modern telecommunication networks, such as Internet and mobile phones, who are often known as hackers. This type of crime can range from harassment, bullying, to identity theft, and more. These cybercriminals use computer technology to access personal information, and business secrets, for malicious intent. Such problems arise when hackers intercept confidential information. Issues surrounding these types of crimes have become more and more of a concern. Cybercrime is something that everyone should be aware of and take the necessary steps to ensure that all of your private information is safe. Malware is any program that is used to harm computer users. They can be worms, computer viruses, Trojan horses, and spyware. Ransomware is a type of malware, where an attacker locks a victims computer system files, usually through encryption, and then demands payment to unlock them. Social engineering relies on human interaction. Hackers trick users into breaking their security procedures to gain access to the information that users usually protect. Phishing, which is similar to social engineering, is a type of fraud where emails are sent resembling similar documents from reputable sources. Commonly demanding sensitive information such as credit card numbers or login information, disguised as a request from your bank. The anonymity and speed of the internet are contributing factors to why cybercrime is a growing epidemic that is affecting businesses of all sizes. You have a responsibility to protect the data of your employees and customers. The more interactions you have throughout your supply chain, results in a higher risk of supply chain infiltrations. A lot of companies take into account this type of problem, so they purchase expensive hardware and software solutions. Still, they don’t realize that with every component added, in an attempt to stop cybercriminals, it becomes a new point of vulnerability that can be hacked. Not to mention, cybercriminals are continually gaining more resources, tools, and techniques to hack different systems. Is Your Supply Chain at Risk of a Cyberattack? Supply chains are the most at risk companies. They provide hackers a pathway to other businesses and their systems, giving access to data such as billing and personal information. This can lead to the butterfly effect and hackers can gain access into other businesses. It is crucial to know what kind of business you are working with, and what their security system includes. In order to be proactive and have a plan in place to defend your supply chain you must have the right tools and systems in place. If supply chain businesses want to keep their information safe, they must pay close attention to how their systems are set up and what steps they need to take. Watch for part 2 to learn more on cybersecurity! To see Clear Spider’s secure system, and how it will help your business, schedule a demo today! Next:Protect Against Cybercrime – How Cybersecurity Helps!